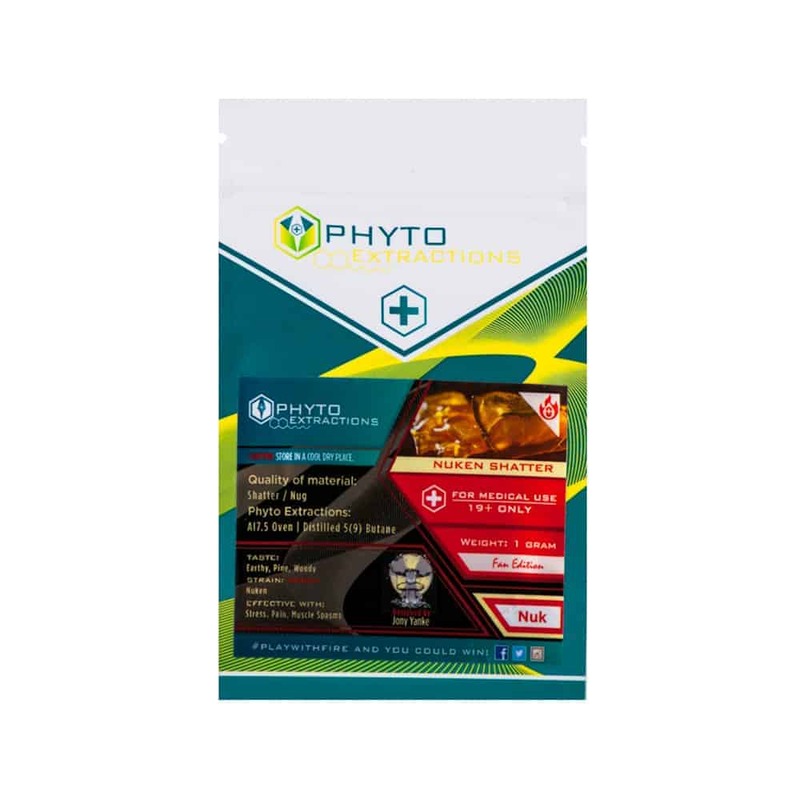 7 reviews for "Phyto – Nuken – Indica Shatter"
Amazing taste, relieves stress better then anything I have tried before. Very good. This has helped me with my night grinding a lot. My favorite so far. Great product, awesome taste. Will be ordering this again. Smooth and relaxing, calms stiff muscles a bit. Good for listening to musice n kickin back! Love this strain. Great buzz for a high tolerance user, and I find it helps my mind stay off the pain for a bit.